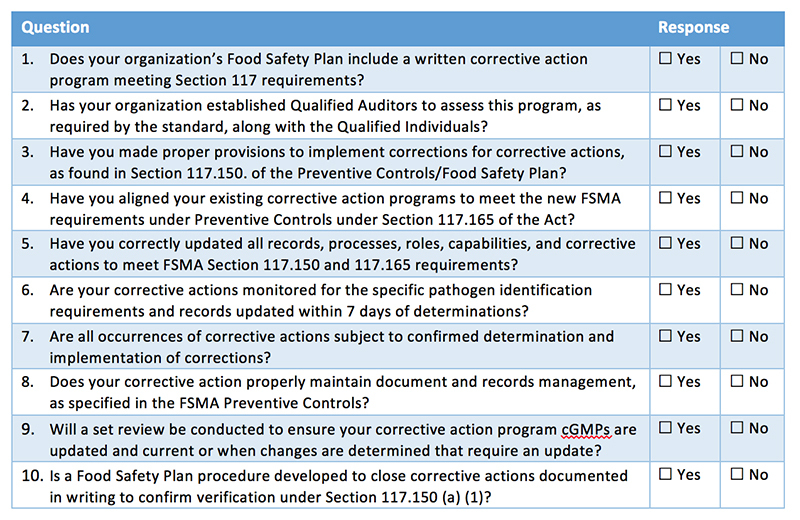 FSMA Preventive Controls and Food Safety Plans must document specific use and management of corrective actions within Food Safety programs to satisfy the regulations and meet associated compliance dates. This requirement recently took effect under the Preventive Controls Rule on September 19, 2016 for companies with more than 500 corporate employees; food companies with fewer than 500 corporate employees have an additional year. TEST YOUR FSMA SMARTS! Take the FSMA IQ TESTAs the FSMA Preventive Control rules move to enforcement status, food companies must prepare to best respond to the requirements and, correspondingly, to add the required written corrective action programs and records within Food Safety Plans. This may include providing an additional level of evidence that the company distributes safe food products to and from the United States. 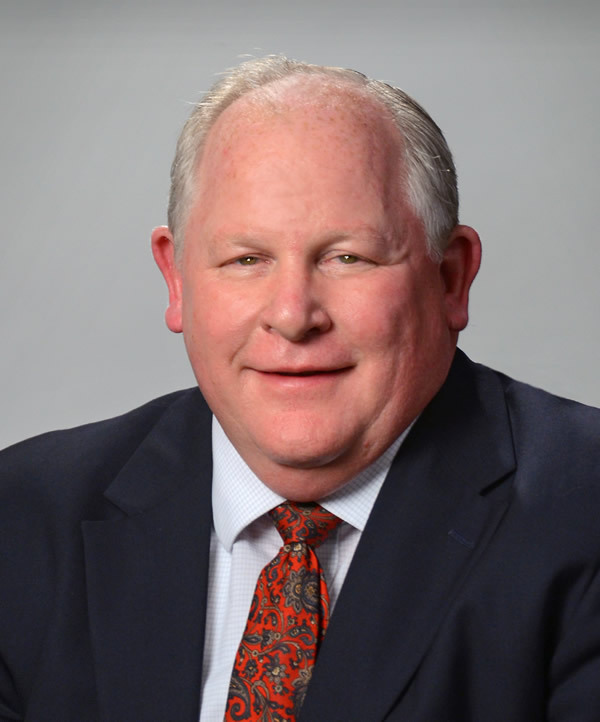 With pending scheduled inspections on the horizon and the expanded authority of the FDA to conduct at-will inspections, it is critical for these programs to be written, verified and maintained at all times. Important to note, even if this is a previously established program, you must be in compliance with the provisions of Section 117 of FSMA. Learn more about FSMA Preventive Controls at the 2016 Food Safety Consortium in Schaumburg, IL | December 7-8, 2016 | REGISTERThe more formalized programs and supporting evidence of compliance must include internal audits by Qualified Auditors, with coordinated oversight by your Qualified Individuals. Inspectors now have the authority to enforce the “letter of the law”. Additionally, organizations under the Preventive Control Rule must have multiple Qualified Auditors, in addition to Food Safety Plan Qualified Individuals, to oversee corrective action audits for evidence assurance. The following self-diagnostic assessment tool can help organizations better determine their current state of planning when it comes to implementing and managing corrective actions under FSMA Preventive Controls. To complete your own assessment, review and compare your programs to the questions below. Table I. Kestrel Management’s self-diagnostic tool can help a company assess its level of corrective action programs for FSMA compliance. Companies must have the appropriate programs to comply with FSMA corrective actions or face possible willful non-conformance, which can include fines and criminal penalties under FDA enforcement. 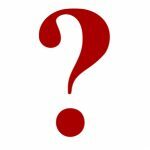 The questions in Table I will help companies identify areas to consider regarding their corrective action programs. Kestrel can also help answer questions, provide input on solutions, discuss how to better manage all of your food safety requirements—and change “No” responses into “Yes” responses that promote best practices for FSMA and food safety compliance. This checklist will help your organization assess its level of inspection readiness. FSMA mandates that a “Qualified Individual” oversee the hazard analysis, preventive control process, and food safety plan.